A wonderful keepsake plate decorated with love heart confetti. 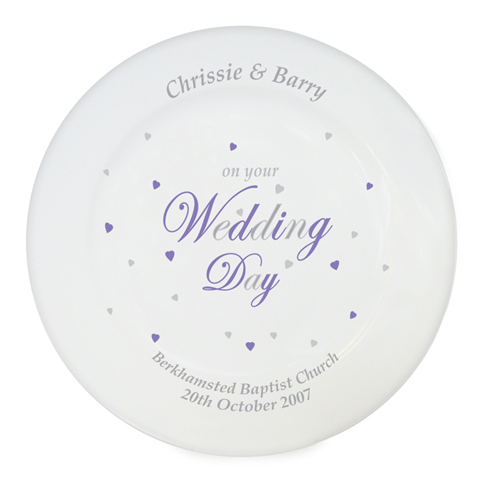 A lovely reminder of a special day, this beautiful plate can be personalised with the couple's name on the top of the plate and Wedding date & venue on the bottom line, 30 characters per line. Personalise with the couple's name on the top of the plate and Wedding date & venue on the bottom line, 30 characters per line.